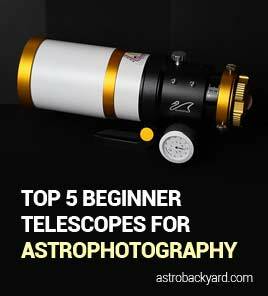 Each week we feature a different backyard astrophotography setup from around the world. By taking a look at a complete kit, we are able to get a better picture of what’s working for others. Take the guesswork out of the process, and replicate a system with proven results. This week, we have a 6 Inch Newtonian Reflector Telescope riding on a Meade LXD75 Mount in the USA. 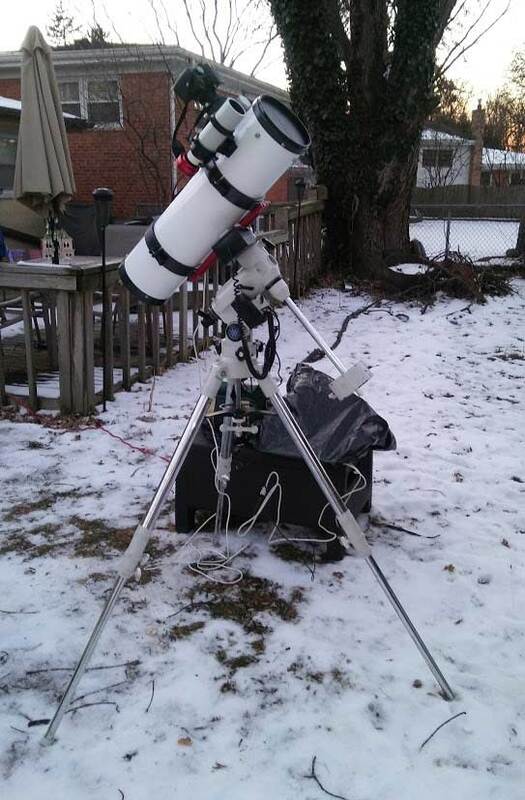 This week we’ve featured another DSLR astrophotography setup with a familiar looking snowy backdrop. Tony’s setup includes a Canon EOS Rebel T1i camera through a GSO f/5 Newtonian Reflector. One look at the photo gallery on Tony’s website will let you know that he’s got this rig performing exceptionally well. The tracking accuracy of the Meade LXD75 mount is improved by using an autoguiding setup that includes a ZWO ASI034 camera. I can relate to Anthony’s challenging imaging location. He is located in a red zone just north of Chicago, and I must admit, he’s got it even worse than I do. I admire his dedication to continue imaging from the backyard, despite the challenges of city light pollution. My frugal setup is a 6″ GSO f/5 Newtonian on an old Meade LXD75 mount. Canon T1i (unmodified). 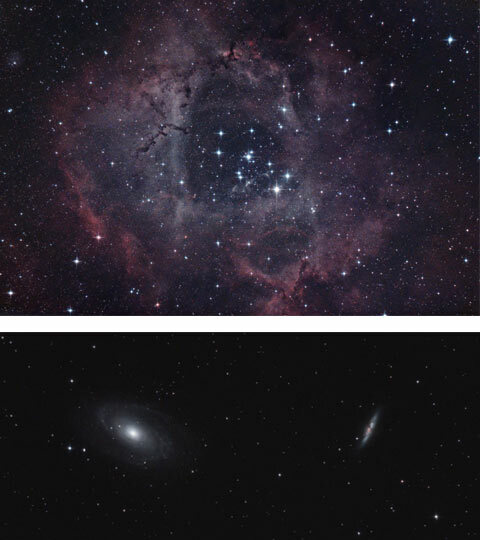 I use a ZWO ASI034 through a modified Meade 8×50 finder for guiding, and a 2″GSO coma corrector. Also, a very customized black garbage bag covering the laptop since the -10F temps had been shutting down the laptop. The bag holds enough heat in to keep it running all night. Thank you for sharing your setup with us Anthony, and keep up the fantastic work!